Northern Labour Party is an actively gigging band in Orange County and Los Angeles County, CA. northernlabourparty at (spam is unfortunate) gmail.com. Northern Labour Party is affliliated with Ohm's Law Records at this time. There are those of us who feel pain, either emotional or physical. The solution for us is entertainment. Our bodies require movement for maintenance, and our intellects require information to process and problems to solve. as it is what separates us from animals. Ohm’s Law Records hopes to supply these needs to humans who are seeking them. 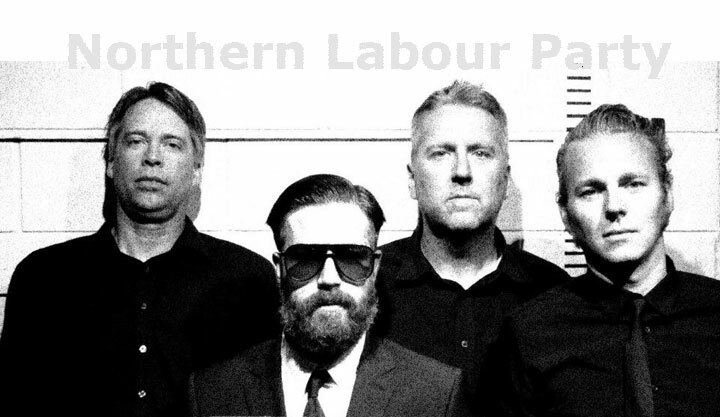 Our flagship band refers to themselves as Northern Labour Party. They hail from Huntington Beach, CA. They love life but are not afraid to discuss its shortcomings lyrically. or an event of celebration. In their case, they can be viewed as both.